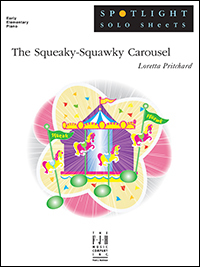 With its quirky broken carousel sounds, this solo will be a delight for beginning pianists. Features Middle C position and a fun optional teacher duet. Elementary students will hear their piano sound like a steel drum with this catchy, upbeat solo! A playful teacher duet is included. 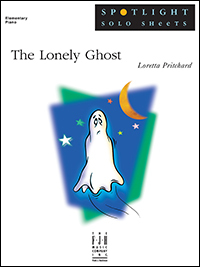 Perfect for Halloween recitals, The Lonely Ghost is equally effective as a solo or as a duet with the teacher. 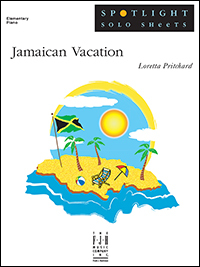 Features the E minor 5-finger position, a legato melody, and simple patterns.